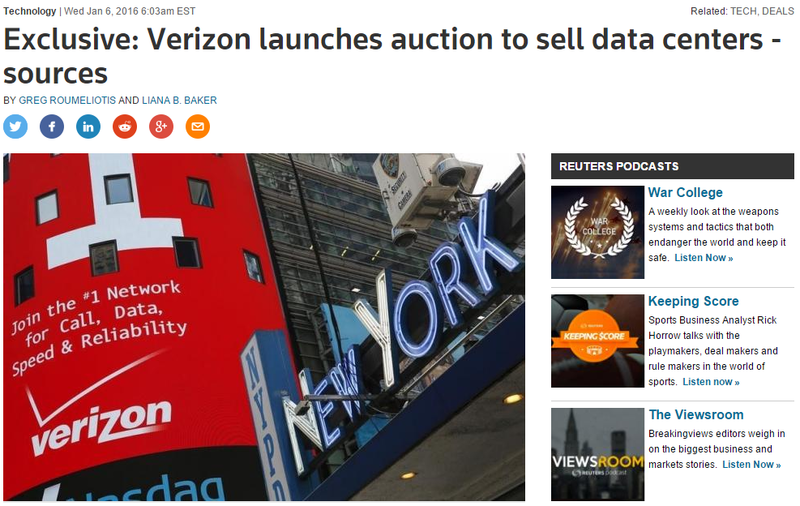 Last May, I alerted you that a solid source told me Verizon was looking to spin off Terremark. Today, we learned this is indeed the case thanks to Reuters (I love to scoop the financial media. Especially when they label their story “Exclusive” ). Peter Radizeski explains why Verizon is doing this – he opines that the telcos are generally hurting. This past week saw the launch of a plethora of new Apple devices – specifically two new phones which will shoot and edit 4K video as well as a new iPad Pro which sports a massive 5.6 million pixels. Moreover, the phones have 12MP cameras which replace the previous models which had 8 MP. That’s a 50% increase in potential pixels in photos. What this means, is even more demands on wireless broadband networks as these phones hit the market. The WAN optimization market is expected to more than double in size from 2014 to 2019 eventually hitting $12.1 billion according to MarketsandMarkets. It’s no wonder - Cyril Doussau de Bazignan explained to me in a recent meeting that as more companies adopt SaaS, they have the challenge of ensuring critical applications have adequate performance at the expense of applications which are secondary in importance. Cyril works at InfoVista, a leading provider of IP and RF planning, assurance and optimization software solutions and they recently acquired WAN optimization and application performance leader Ipanema Technologies. He went on to say CIOs have to deal with the challenges of a multitude of applications running on their network while at the same time, enterprises are looking to offload more traffic to the internet to save money. Arbitrage is one of the great opportunities which presents itself repeatedly in tech. In the nineties, something called international callback allowed am international caller to dial a number in the US and hang up – only to have a US-based call at a lower per-minute rate initiated on their behalf. Many hundreds of millions of dollars were spent on this market for hardware, software and service thanks to the arbitrage opportunity to save money on calling minutes. VoIP continued this trend with even greater arbitrage and carriers spent billions on equipment to save money carrying phone calls on networks. As telcos become software telcos, they are beginning to shed some of their bespoke, proprietary hardware in exchange for NFV software running on OTS computers from white box companies, Dell, HP, Cisco, etc. This move follows similar trends in many markets – thus we’ve seen opinion pieces about how software is eating the world. It’s all about abstraction really. Software running on smartphones for example can replace fixed-function remote controls. 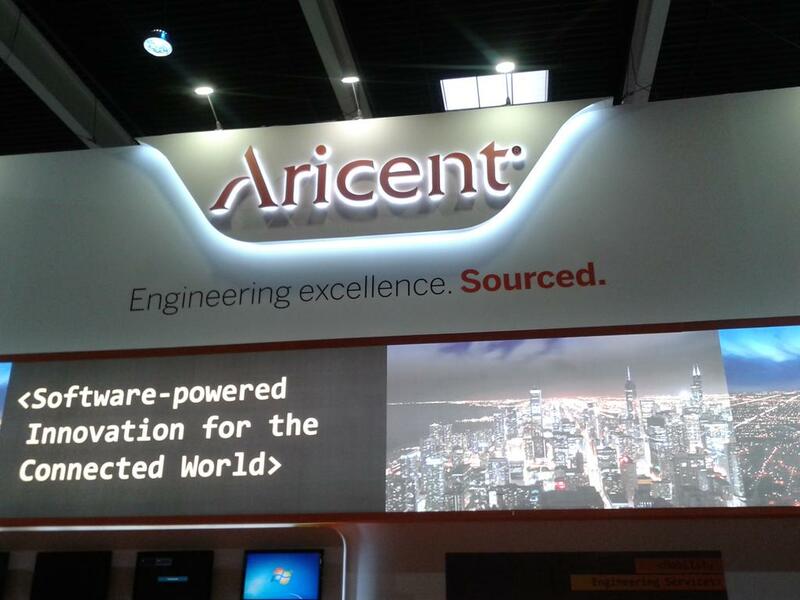 It’s been a few years since I've covered Aricent (2012, 2009, 2006) but as fate would have it I was fortunate enough to interview Frank Kern, CEO at MWC 2015. This is one of the companies behind many of the products we use and one you likely don’t know a great deal about. It’s owned by KKR and Sequoia and is a pure-play product innovation services company – Kern explained his they don't do IT and BPO like others in the space. Another differentiator is the company’s core strength is connectivity and there is a great demand for such services at the moment. Companies rare really focusing on their solution partners (SP) – especially when looking to court small to medium business customers as the SP owns the relationship. As reported by Tara Seals on TMCnet recently, Nimble Storage, AT&T, HP, Equinix, NTT America and others are deploying similar strategies to court this market. In fact, two years ago, AT&T Partner Solutions decided it wanted to attract more customers with up to 20,000 employees and as a result, they decided they would change the way they do businesses. In a recent meeting, Brooks McCorcle, president of the division says they now act more like a Silicon Valley start-up. While it isn't uncommon for companies to become more nimble in the face of growing competition, it is impressive to see any division of an established carrier making such a claim. I’ve written a lot of headlines in my life but this one is among the oddest. Why on earth does a phone need to be a laptop? I know what you’re thinking... Rich Tehrani flew to Colorado to do a story on legalized marijuana which includes sampling. A smartphone user can get tripped up easily when in motion as today’s smartphones look for WiFi networks to connect to and oftentimes aren’t able to fully connect to such signals, meaning a phone’s broadband connection can be in limbo. Nothing can be more frustrating than having connectivity issues like this when your GPS software is trying to determine which route has the least traffic and you need to decide whether to go right or left at a busy intersection. Poor service quality which can be caused by the arbitrary switching to an inferior network leads to churn and churn costs a carrier money. Quality issues don’t just center on data as quite often a challenge for carriers is providing voice service levels which are solid enough to keep a customer happy. It’s quite common for people to look at the cellular industry as a bunch of phones from different companies competing on features and functions but the reality is the towers are often the glue that connects these devices when they aren’t near WiFi hotspots. Towers are rife with innovation and in order for consumers to get better service they need to be upgraded with better radio frequency equipment, antennas and backhaul bandwidth. 3M Communications Markets Division is one company which focuses on perfecting the base station by making them easier to work on while ensuring they need less ongoing maintenance. I spent a good deal of time with the company recently speaking with Omar Flores, Steve King and others at the company to learn about how they are applying many of their innovations directly to the towers and other equipment responsible for interconnecting our tablets and other devices.